immersed in the green hills, among vineyards, oak and beech woods, with a beautiful panorama, we have new rooms, built and furnished in an antique-style environment. To brighten up your evenings, an elegant club House and a wine shop for tasting the important wines of the Valpolicella region. There are places where the symphony between man and the land finds its magical balance: light landscapes but full of charm, delicate but dense colors of energy, silences of nature, stories of positive human intervention. In this, Valpolicella has a lot to tell. The vineyards are kept as gardens, the medieval districts strong of their buildings in stone, rich in taste and soul above all, which has made living the past centuries here. A river, the Adige, which surrounds it to the west and to the south, which "breathes and stretches" opening itself to the Po Valley, as a Veronese poet sang in dialectal verse; the foothills of the Pre-Alps to the north, with their oak and beech woods, which here are attested on the plateau of Lessinia, a pure and peaceful environment; the spectacle of the city of Verona, there, at the mouth of the valley. Territory of tradition by tradition, this valley: from here the great Valpolicella, Amarone and Recioto go into the world. And with them the name and the suggestion of a special land. in Lessinia and Monte Baldo with overnight stays in mountain huts and refuges; personalized western riding lessons. with routes marked and itineraries on maps made available. 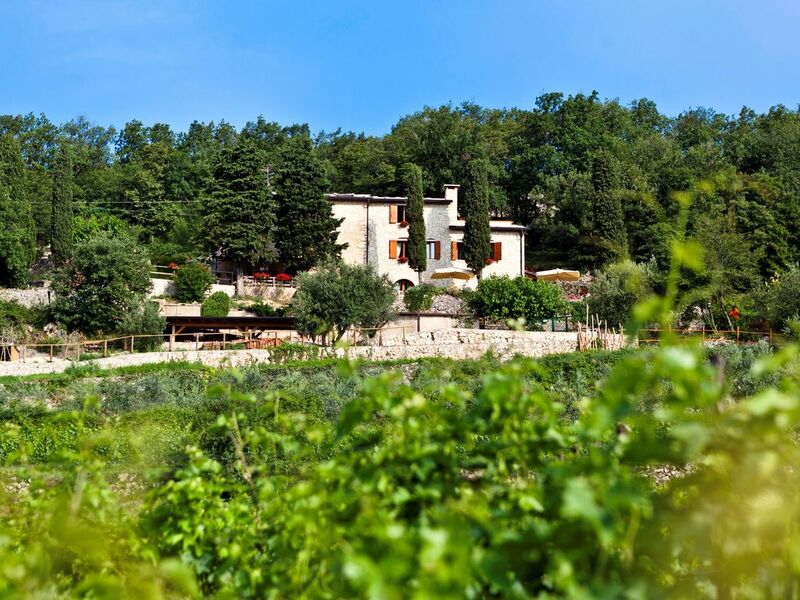 between the Renaissance villas and the Romanesque churches in Valpolicella and in the city of Verona. with visits to the cellars and wine shops of Valpolicella tasting local wines and products (cheeses, meats, sweets). to the water parks, the Caneva, Gardaland and the Sigurtà Park. continue towards Cavalo for 9 km, going up to Mazzurega and then to Cavalo and from here descending to the right to Le Corone. GPS: 45 ° 33'30 "N - 010 ° 52 '56" E - alt. 520 m.